Very secure, excellent service and perfect location. The guy at the front desk greeted me and my wife and was super friendly. He helped us plan our time their and went out of his way to take care of anything we needed. Breakfast in the morning was awesome and you can literally walk anywhere you need go. Bathroom was nice and clean and room was clean also. Mattress was a little stiff but it didn't bother us, wifi is also a little slow in the room but works fine in the lobby. Stay here! Beautiful building right next to the "Angel Castle ". Perfect location to everything. Service and staff was awesome. We came in early and they were quick to have our rooms ready and were so very much accommodating. They obviously knew so much about the city and had excellent recommendations and tips and tricks. Our main front desk person was Arlene and Ashe was amazing. Also make sure to get a coffe by Catarina. They both were amazing. This is a great place for couples and families. This hotel was awesome. Friendly and helpful staff, large and comfortable rooms. Everything was very clean, and they cleaned the bathrooms daily. Breakfast was simple, but nice, with coffee made to order. I would definitely stay here again! LOVED THIS PLACE!! It is in a great location close to sightseeing places and restaurants. The staff were super sweet and friendly always accommodating! Definitely will stay here when we come back to Rome. A great place to stay for a night quiet evening. The staff were extremely helpful, and the guy working the night shift was a legend! Pretty easy to get to with the cities public transport, this place was just what I needed for the night. We actually stayed in another location because of maintenance issues. Hotel Florida was nice enough for the money we paid. Breakfast was good. Only wish WiFi actually extended into the rooms. This little place is in the perfect location if you're going to Rome to see all of the most popular landmarks. 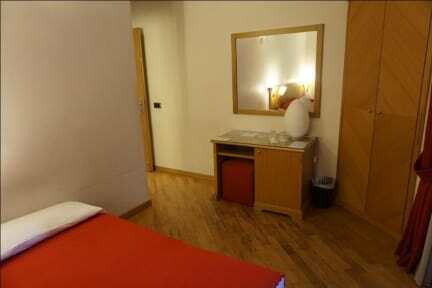 All within walking distance to the Pantheon, colosseum, forums, Trevi fountain and Spanish steps. The Vatican is also right around the corner! If you are looking for somewhere quiet to stay or family friendly then this is the place, however if you are looking for something a bit more lively then this probably isn't for you. Breakfast was delicious and the owner is lovely! Good location, good value for money, friendly staff, good free breakfast. The rooms are a bit dusty and the shower wasn't in the best condition. 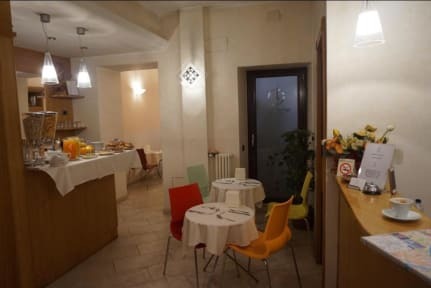 Overall it is very nice hotel with very good value for money and I decently will come back again when in Rome.